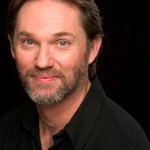 Iconic actor Richard Thomas – best known for his role as John-Boy Walton in CBS drama The Waltons – will receive the Nancy Ford Springer Inspiration Award at the National Meningitis Association’s 3rd annual Give Kids a Shot Gala at the New York Athletic Club. Thomas is being honored for his efforts in the fight against meningitis, a vaccine preventable disease. Also slated to be honored are New York Giants Football Legend Bart Oates & his wife Michelle Oates, advocates for pediatric medical research, will receive NMA’s, Children’s Advocacy Award; medical pioneer James C. Turner, M.D. Professor of Internal Medicine, University of Virginia will accept NMA’s Health Achievement Award and pianist Chau-GiangThi Nguyen (Chosan Nguyen) will receive NMA’s International Ambassador for Education Through Music Award. The Honorary Committee includes Steve Buscemi, Amy Madigan & Ed Harris, Felicity Huffman & William H. Macy and Susan Sarandon. During the 1990’s, there was a significant increase in the number of adolescents and young adults killed or disabled by meningococcal meningitis; young people who were seemingly healthy, vibrant and often athletic. Most of the families were unaware of a vaccine that could have saved their children’s lives or anguish. The National Meningitis Association (NMA), a non-profit organization, was formed in 2002 by parents whose children were killed or disabled by meningitis. Since then, NMA has created educational programs that reach millions of people each year with information about available immunizations and disease symptoms and thoughtful, comprehensive support programs for families devastated by the ravages of the disease. For more information about NMA’s life-saving work, click here.